How can a cloud service carry out high-performance composition logic that can include composing specific cloud service instances? A high-performance task needs to be completed that would need to involve the composition of multiple cloud services, as well as the composition of specific cloud service instances. The systems programming required to build such composition logic is complex. A root container is utilized with special distributor and aggregator cloud services designed to compose and interact with multiple cloud services and cloud service instances, thereby carrying out the necessary high-performance composition logic. The distributor cloud service accepts the task from the service consumer and segregates it into micro tasks that are assigned to the appropriate cloud services or cloud service instances. A separate aggregator service collects the results and aggregates them into one single response back to the service consumer. 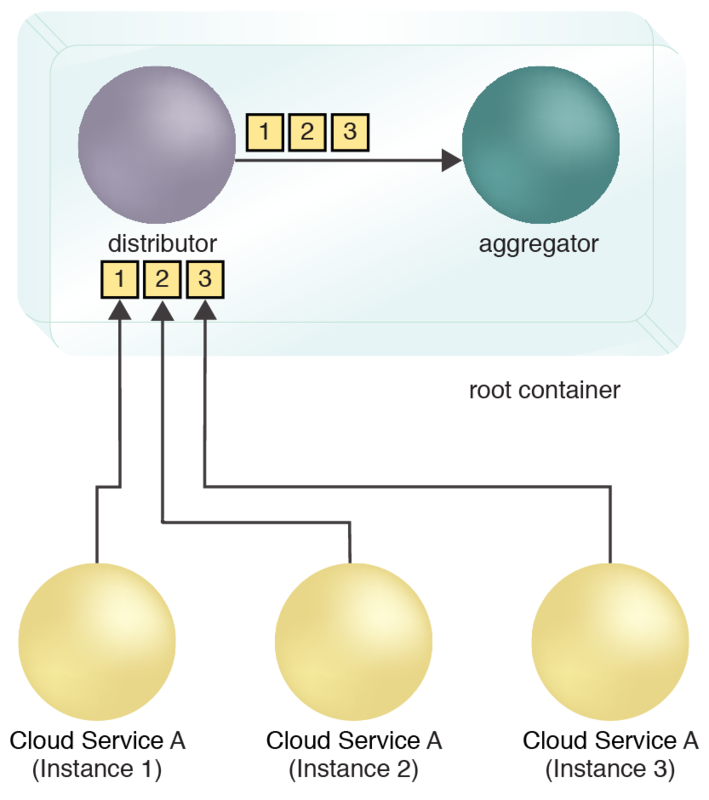 Distributor and aggregator services are deployed in isolation in a special root container that exposes APIs to the service consumer and the composed cloud services. Shopping Service (Instance 3) is elected the leader and proceeds to coordinate activity occuring with the other two cloud service instances.